Simply put, an adopted Neighbourhood Plan becomes part of the ‘Local Plan’ for the area in question – in our case, sitting alongside the Core Strategy and the SADMP for the entire Borough. Parish Council / Community decides a Neighbourhood Plan would be beneficial. Parish Council applies to Local Planning Authority (LPA) stating what area they would like to include in a Neighbourhood Plan. Parish Council undertake research and community consultation to ascertain local issues and aspirations – considering social, economic, environmental and other related issues. A Neighbourhood Planning team develop a draft document – normally including policies and plans setting out planning goals for a set period (generally 10–20 years). Plan goes through statutory six-week ‘Pre-submission’ consultation within community. Any changes are made as required. Plan is submitted to LPA – who coordinate a second minimum six-week publication period for comments. The plan and comments are then submitted to an external planning examiner who assesses whether the document meets the four basic conditions (set out above). On the advice of the examiner the plan can be finalised and recommended to proceed to referendum. We are at this stage now. A local referendum is held in the Parish or area covered by the plan and if more than 50% of voters agree to the plan, the LPA can adopt it. An adopted Neighbourhood Plan is a statutory planning document and is used by the LPA as a basis for determining planning applications. Some background to the North Runcton and West Winch Neighbourhood Plan … or … what have we done so far?? 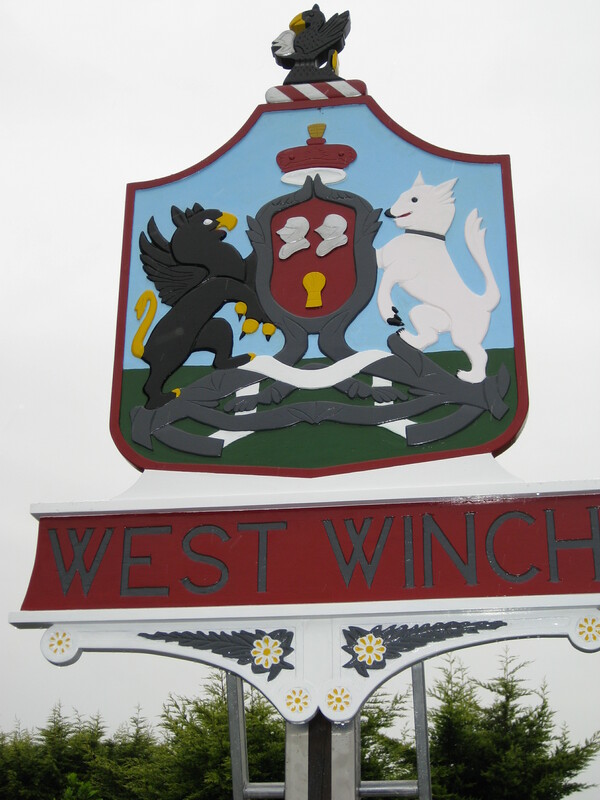 In July 2010, BCKLWN, in association with Zurich Assurance Ltd, a significant landowner in the parishes, invited representatives from the Parish Councils to a workshop to ‘Explore sustainable growth within West Winch and North Runcton’. The workshop was facilitated by the Princes Foundation – a planning consultancy specialising in community led planning. In late 2011 BCKLWN adopted their ‘Core Strategy’ document – which confirmed their desire for extensive development in the parishes. In 2012 the Parish Councils agreed to work together to develop a Neighbourhood Plan in order that they may exert some influence on the proposed development – signing a Memorandum of Agreement in October 2012. BCKLWN subsequently formally agreed the designation of the Neighbourhood Plan area in March 2013. Therefore, although commencement of the Neighbourhood Plan process was only officially agreed with the planning authority in 2013, in fact a great deal of relevant consultation had been on-going since the planning workshops in July 2010. This had included exhibitions and meetings organised by BCKLWN as part of their on-going LDF process, exhibitions and meetings organised by respective developers to promote their own sites and plans, and a range of exhibitions, meetings and information gathering by both Parish Councils. A Neighbourhood Plan Steering Group (SG) was set up in 2012 with representatives from both parishes. The SG has been instrumental in bringing divergent stakeholders together and identifying the ideas and concerns of particular local interest groups – including landowners, local businesses, community groups, the relevant schools, neighbouring parishes and individual residents of all ages. In September 2012 the SG appointed The Princes Foundation to assist the parishes with planning and consultation expertise – and this assistance continued until March 2013, when funding was withdrawn. Most importantly, the SG has organised a range of consultation events and processes to gain input from residents within the parishes and to ensure that interested residents have consistently had the opportunity to comment on the draft plans and policies being produced by all stakeholders. For a record of Neighbourhood Plan consultation between 2010 and 2016 –Part 1 and Part 2.
Who is the Neighbourhood Plan Steering Group? The Neighbourhood Plan steering group has consisted of Parish Council representatives from both North Runcton and West Winch and other interested residents. Richard Morrish (North Runcton) and Michele Summers (West Winch) have acted as Chair and Vice Chair of the Steering Committee – assisted by Fran Leamon (group secretary), Judy Close (group treasurer), and with various help along the way from June Leamon, Paul Foster, Barry Houchen, Clive Williams, Paul Burt, Barry Thrower, Douglas Eakins, Pam Yates and many other parishioners over the period of the plan development.